Arrowroot is an excellent base for cream sauces, and clear glazes, and it doesn't lose its thickening ability in the presence of acid, like flour does. This quality makes it an excellent choice for thickening acidic fruits. Our product contains 100% pure starch obtained from the roots of the arrowroot plant. It does not contain gluten and is considered a "safe food" by Celiac research and support groups. It is also referred to as arrowroot flour in many recipes. Before adding arrowroot to hot liquids, it should be mixed with cool-warm water or your cooking liquid (also cool-warm) to form a paste and gradually added to the recipe. The starch doesn't hold its thickness for long periods of time, so foods should be served immediately; reheating will also cause a loss of thickening. For General use: 1 T. product will thicken 1 c. of liquid. As a replacement for flour: 1 1/2 tsp. product is equal to 1 T. of flour. As a replacement for cornstarch: 2 tsp. of product are equal to 1 T. of cornstarch. 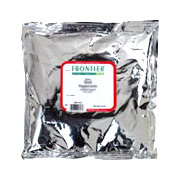 Arrowroot Powder is shipped in a discrete, unmarked package. Orders are processed immediately and usually take about 3 to 5 working days to be received. We do ask that you try it for 2 to 3 weeks to feel the full effects. Any information received is used only for order processing and shipping purposes. Your information, such as e-mail address, will never be disclosed to a third party.